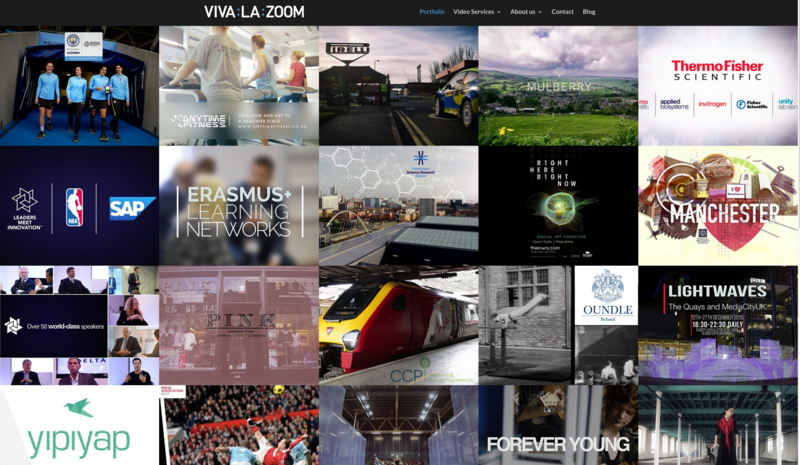 Viva la Zoom: An event video company based in Manchester, UK. As an event video company we have a wealth of experience in covering a wide range of events in the UK and beyond. 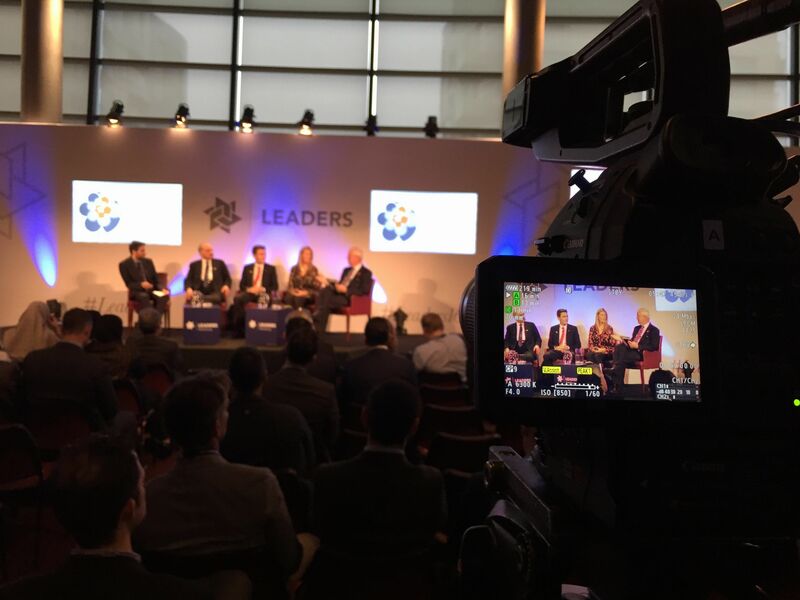 Over the past few years alone we’ve covered large scale events like Leaders in Sports in New York where over 700 delegates met at the TimesCenter to discuss high performance in sport, while we have also covered smaller and more specialist events such as the Erasmus+ Learning Network events in Manchester, UK. From our eight years’ experience in this field we know that when our customers start looking for an event video company all sorts of ideas and questions enter their minds, and for that reason we decided to write down some advice that we think will be able to help event organisers understand how to get the most out of a video for their event. Increase your audience: The most obvious reason is that while an event is restricted by a physical location and set dates video can be used to showcase your event to audiences not restricted by geography or calendar-specific dates. Using video after an event on social media platforms with relevant hashtags is a great way to grow your audience. Reinforce awareness of event and brand: We know that once one event is over there is often another date in the diary for a next big event, but with video you can show people what they have missed and as a result encourage your audience to put your next event into their diaries. Legacy: Sometimes you may not be sure how you’d like to use the footage of an event straightaway; however, having videographers there to film the key points of the day and capture great footage of the venue and the people there is a great way to capture the moment and give you more options in the future to use the footage for your marketing purposes. These are just a few of the reasons why you would be wise to film your event, but assuming now that you’re all onboard with that idea that leads us to the next big question: how to actually plan the filming of your event? Speakers on stage, the attendees, the venue, the general ambience of the event: it is always worth thinking before your event what you want to feature in your event video. When a company gets in touch with us to film their event the two things we ask first are regarding: the intended video outcome, and the event itself. Both inform the other, and although it may seem counterintuitive at first we’re going to start by discussing the end product, the video, first in this article. The reason why we’re discussing the end product first is that this will help decide what is needed on the actual day, and how to prepare for it in pre-production. You can generally divide the type of event video into two types: real-time edits of key moments or shorter more creatively edited video highlights of the event. Although often companies have both of these types of video or a mixture of both; so let’s see a little about each in more detail. Different aspects of an event may need different video equipment to capture in its best form. Communicate clearly with your video production company what you would like capturing from your event to ensure they have the right equipment to capture the best footage. These are the videos that show one person’s or a panel’s whole speech at an event; the famous TED Talks are a good example of this style. These are great if you have really good content or a really good speaker that you wish to show to a wider audience or to people who were actually at the event for them to refer back to. Great for detailed content sharing: As these videos capture everything that is said by the speakers on stage the videos can then be shared after the event to current and new audiences. Ideal for legacy: captures the key moments of the day as they happen, which can give versatility to use in with future marketing purposes. Length: these videos are as long as the original, which means they can be anything from ten to 30 to over 60 minutes long. For audiences with an already active interest in the subject matter this may be great, but for gaining new audiences this is not always the best approach. Narrow focus on event: while the real-time edit videos are being filmed, it can mean that other details such as the event location, its live audience and all the great interactions going on on the day aren’t really captured on screen, and as such aren’t shared with a wider audience. Routes into Languages – Mother Tongue, Other Tongue Competition An example of a creatively edited highlights video. These are the videos that are often edited to music and give a dynamic and engaging overview of the event. Often they can include snippets of key moments on stage, but also has the versatility to capture footage of the people attending and their reactions to the day. These videos are great for showing off your event to a wider audience after the event has taken place. Eye-catching and dynamic: as these types of videos are heavily edited, only the best footage and soundbites from the event are often included, and with the right editing skills the video can have a real energy which can compliment and even bring something new out of your event. Easier to consume: a typical highlight video is around 2-3 minutes in length and as such the likelihood of people watching it are much greater than that of a 10, 20, or longer video. Give a condensed overview: this can be seen as a positive, but it can also lead to some difficult decisions as to what are the key moments that you want in your video, and more importantly what can be omitted from the video. Quite often though, once a customer sees an edited highlight of their own event they actually see it in a new light; with fresh eyes editors can often see from footage what stands out without the emotional attachment of a curator and as such create something new, fresh and exciting. Lightwaves Festival was an event held at Salford Quays, UK that we filmed and created a highlights video for. The video includes creative shots of the artworks, images of the venue and crowd and interviews and testimonials to give a clear and concise view of the event. After deciding what your video output goals are for your event it’s then time to think about the actual day – or days – of filming, and this is when the manpower needed to cover an event is important to think about. For a real-time edit video generally two cameras are needed to give an option to edit between angles in the actual video. We always man our cameras so when they are recording there is always somebody there and operating the camera. This may seem like stating the obvious but you may find an event video company who will be happy to leave a camera ‘locked-off’ at an event (i.e. set-up and recording and pointing at the stage) and not actually operate it. Although it is *possible* to get results like this we always man our cameras to ensure that if any unforeseen circumstances occur – such as changes in lighting, need to re-frame image – there is always somebody there to act and get the best shots needed. We believe that it just isn’t worth taking the risk as once the event is over, it’s over: you can’t go back and re-record anything. Although it may be tempting to ask a videographer to operate more than one camera at the same time, it is risky business. Size of event: professional camera equipment can be heavy, so if your event is spread across a large venue then this may affect the amount of camera operators needed for coverage. Scheduling: are there multiple activities going on during your event? In which case it may be possible to capture just small sections of events that happen at the same time, but the more activities going on at the same time across your event, the harder it will be to get great shots of everything with just one camera operator. Soundbites/testimonials: a great way to sell your event is to get the people actually there to sell it for you; testimonials are a great way to do this. Testimonials are also quick and efficient to gather as all you are looking for are short, sharp answers to two or three questions such as: why did you come today? What have you enjoyed most about today? Would you come again? Interviews: the old adage ‘content is king’ is often bandied around, but one great way to get extra content from your event is if you have a key speaker (or more than one) at your event then it is often a nice idea to ask them to do an exclusive interview on camera. This can then be used after the event to encourage more traffic to your website or social media sites. 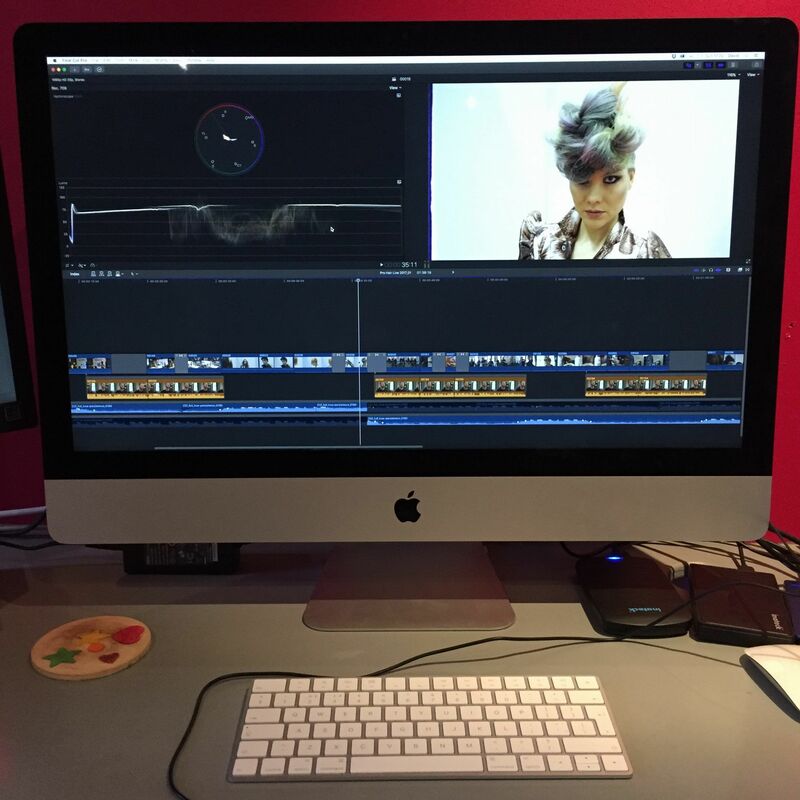 We filmed Goldwell Ambassador Mark Leeson prepare and exhibit his latest Kaleidoscope Collection at Pro Hair Live 2017. To be able to use the film to engage with the social media buzz of the day we filmed and edited the video in the same day. Once the footage is captured it can be crafted into an engaging, concise and creative tool to promote your event to a wider audience. By the time your event is over you’ve probably already got quite a good understanding with your videography company and they are probably aware of the key parts of your event that you would like emphasising in the finished video. It is still a good idea before any editing commences though to just have a conversation to through the key points and also things like the target audience of your video, the intended tone and also things such as music and any graphics needed. Your video production company will be well versed in the processes in choosing music for corporate video production and will be able to guide you after some discussion with yourself. The options of music for corporate videos has improved greatly over the years and the quality of royalty-free music available for a reasonable price is now very good. We tend to have a handful of favourite sites for music that we choose for highlights style videos including The Music Bed, Premium Beat and Song Freedom. Each site tends to have its pros and cons and speciality in terms of genre of music but all three have been of great use and supply to us over the years. Seeing your final event video can be an exciting moment and often it will give you a new and dynamic viewpoint of your event. And most importantly it can allow you to show off your event all over again! All events have their unique aspects and as a result all event videos have their own unique feel and look. 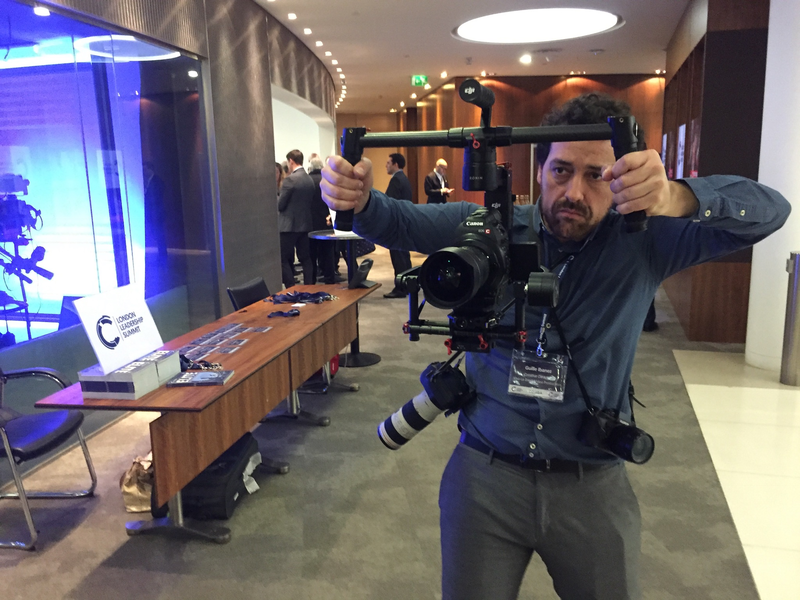 If you’re still wondering what’s best for your event why not take a look at our Event Filming Portfolio where you can see a variety of great event videos that we have produced over the past few years. And if you’re looking for an event video company in Manchester or beyond don’t hesitate to let us know about your event so we can discuss how we could work together to help you achieve your event video goals! I have appreciated getting a lot of information on event production video your blog post. Thanks for sharing such kind of useful information.